As homes shrink, garden spaces are fast disappearing. However, if you have an urge to incorporate nature into your home, the solution is to go vertical. Yes, now use your walls to create the green patch you always wanted. 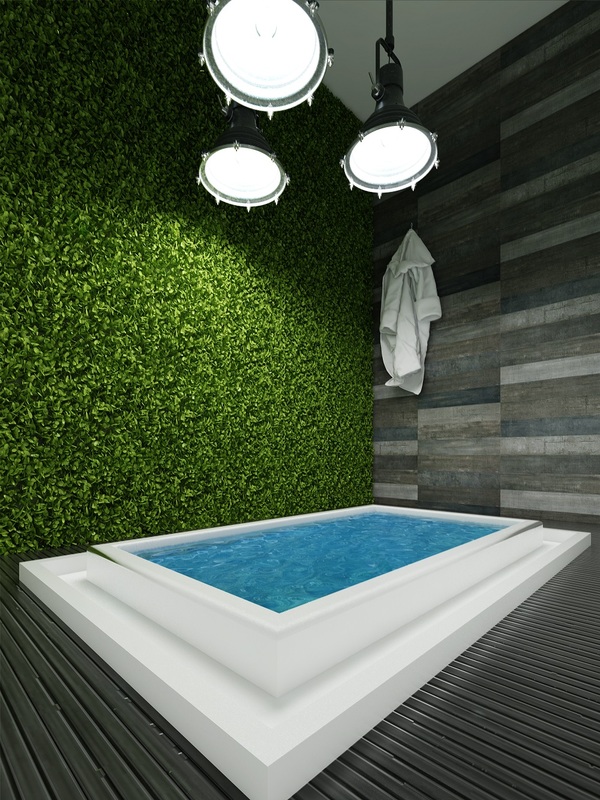 Vertical garden or green wall is one of the most popular design trends of 2018 and with good reason. Most homes today are becoming smaller but a key trend is that functional spaces are not being compromised. And even when you stay in a small apartment, you can have your little green space whether you have a balcony or not. Ishan Thacker, Associate Director, Vector Projects (I) Pvt. 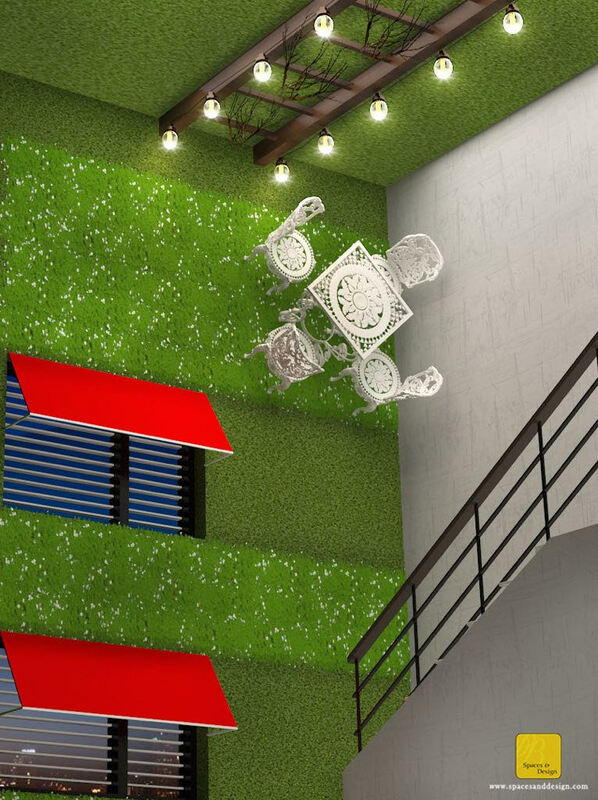 Ltd., a Bengaluru based integrated interior solutions company explains, “there are different ways to go about it, stacking crates, reusing bottles, stair gardens, tower gardens and many more. The balcony or verandah of one’s home is first of the many places that can be explored. One wall of the balcony can be converted into a garden; add in a coffee table, swing or bean bag and make it a perfect spot for leisure times. As a budget friendly idea, hang baskets from the balcony railing or replace the expensive pots with old plastic bottles.” If you have the luxury of space, place it near the main door. The idea is to add a touch of green that will also improve the air quality of the home. Architect Vivek PP, Partner, De Earth, an architect firm based in Kerala says, “vertical gardens can extend the green to wider surfaces within restricted spaces like walls, pillars, compound walls and extended garden spaces.” Vertical gardens are one of the most innovative ways to incorporate nature in your house. Having vertical gardens ensure you do not give up valuable floor space for the same. These can be grown on any free wall of your apartment or the compound of an independent house. “However, the walls have to be chosen carefully because it is important that they receive sunlight. 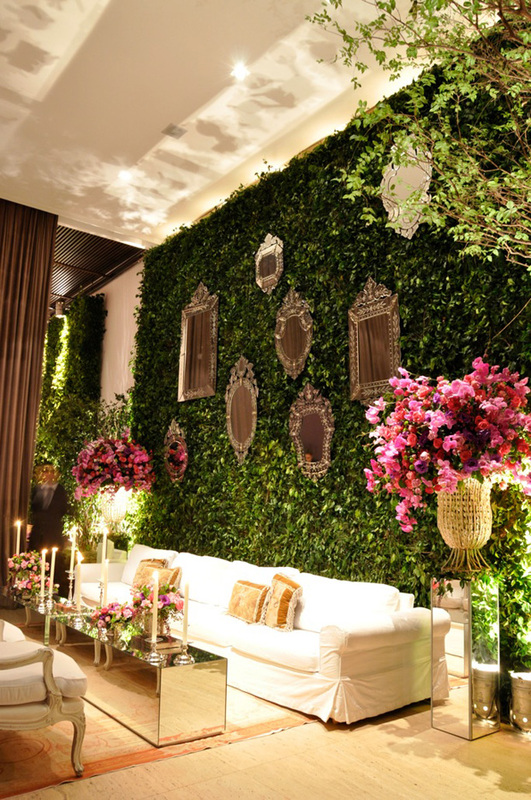 If one is going in for this concept only for aesthetic purposes, then you may choose to go with an artificial vertical garden which can be made on any wall of your choice. One can also incorporate a small vertical garden in an area near the Kitchen to make a Vertical herb and salad garden. 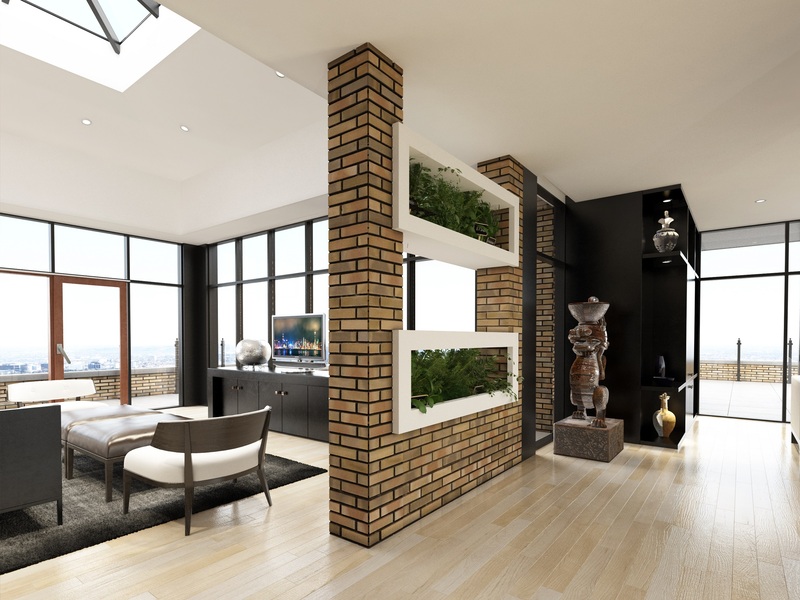 Living rooms and kitchens are also good choices for Vertical Gardens. Being eco-friendly, vertical gardens make for a viable option, both for commercial and residential spaces,” says Gita Ramanan, Architect, Interior Designer & Founder – Design Café, Bengaluru. Due to the lack of green spaces in urban areas, the idea of vertical gardens is gradually gaining popularity. To get started with the vertical gardens, one must be creative enough or seek the help of professional gardener to ensure it is done correctly. “To implement this idea opt for easily available clay pots, plastic bottles which can be hung with ropes. Currently set frames for vertical walls are available in the market. These are easy to install. Arranging these pots in a pattern makes the space look decorative and lively. Choosing the right place to incorporate the type of plants plays a vital role as a few of them require adequate sunlight and water,” says Sandesh Dhanraj, Founder and CEO, Noah Interiors. Green walls can help screen unattractive structures and unproductive areas. “Vertical gardening has clustering of plants together which creates a micro- climate, fertilizing, watering and harvesting is much more convenient and time saving. Also it reduces soil borne diseases and attack of weeds,” says Harpreet Ahluwalia, Owner, Earthly Creations. Dr. Mousumi Ghosh, Founder Director, Team Future, an educational initiative in Kolkata adds, “not only do vertical gardening act as a visual impression but also serves a whole lot of other purposes. The plants will improve air quality of the house by absorbing pollutants. 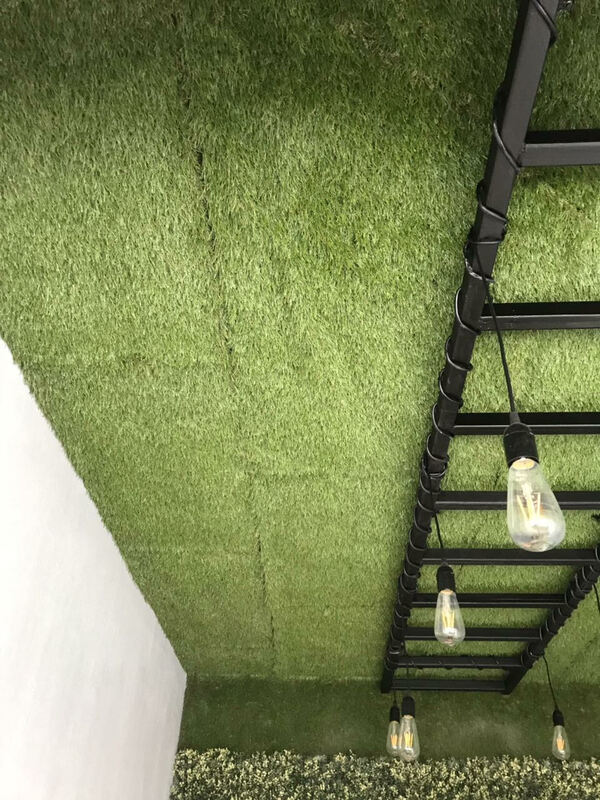 A vertical garden will also act as an insulator and help maintaining the temperature of the house.” Vertical gardens can be used in kitchen to grow herbs. “Herbs are beautiful plants, versatile in the kitchen, and easy to grow, not to mention can help in eliminating unappealing kitchen odour. There are a few plants that you can include in a kitchen garden that serve all these functions. You can grow a variety of herbs like Thyme, Basil, Mint, Rosemary to name a few, in small, easy-to-manage, colourful pots, to add both visual and olfactory appeal to your kitchen windows,” says Sameer A.M, Founder & CEO, Bonito Designs, a Bengaluru based design firm. Well, having said so much, it’s time to get your green thumbs into action. And remember the sky is the limit when it comes to adding a touch of green to your living space. Choose a nook of the living room where it could be placed conveniently. Use colour coded pots that will go with the rest of your décor. A vertical arrangement can also be used as a divider between seating and dining spaces. For the kitchen, stacking crates can be used for growing edible plants. Place a miniature stair garden or a modular shelf in bathrooms for added aesthetic appeal.